William K. Rogers’s story begins in Circleville, Ohio, where he was born to Juliet and Samuel Rogers, a dry-goods merchant, on October 14, 1829. Juliet Rogers unwittingly set her son on a path that would lead to the White House, but not the oval office. At ten years old young William pledged to his dying mother that he would attend nearby Kenyon College to study for the ministry. At Kenyon he met Rutherford B. Hayes who was visiting his alma mater. Rogers greatly admired the future president Hayes, and they began what would become a lifetime friendship. Rogers graduated Kenyon in 1848, but within two years poor health forced him to give up the ministry—the first of many times sickness would force him to relocate or change careers. His next stop was Boston, where he—like Hayes—earned a law degree at Harvard. He then returned to Ohio in 1854 where he joined Hayes and Richard M. Corwine to create the Cincinnati firm of Corwine, Hayes & Rogers. While Hayes had faith in Rogers, he also recognized his weaknesses. Rogers biographer Mark Ryan points out that while Hayes counted Rogers among his closest companions, considering him a “true friend” whom he loved “better than most brothers are loved,” Hayes also “fretted over the younger man’s easy-going manner” and noted his dear friend’s “extreme anxiety to do as others are pleased to have him.” This mix of poor physical health and anxiety, Ryan explains, “hounded Rogers throughout his life.” By 1856, Rogers had left Cincinnati “for his health.” He ended up in Hastings, Minnesota, acquiring land and helping to settle the community. When Minnesota was granted statehood in 1858, Rogers became one of its first attorneys and a Hastings alderman. He returned to Ohio briefly in 1862 to wed Mary Lord Andrews; they returned to Hastings, and the following year Mary gave birth to William K. Rogers Jr.
Rogers’s poor health had kept him out of service during the Civil War, but although he avoided combat he soon found himself in legal trouble after cosigning a questionable loan for his brother. A year after the war ended, William and Mary Rogers added daughter Phoebe to their growing family. About this same time they relocated to Chicago and invested in the Andrews Block; the building, near Lincoln Park, served as both the family’s home and its chief source of income. In 1870 Hayes asked Rogers to visit the Head of the Lakes, where Jay Cooke was building his Northern Pacific Railroad, which would eventually reach the west coast at Puget Sound. Believing that real estate in the fledgling northern Minnesota community might prove a worthy investment, Rogers and Hayes together purchased 160 acres “along the hilltop” and two lots in downtown Duluth at First Avenue East and Superior Street. Rogers returned to Duluth the following year to arrange for construction of the Hayes Block on Superior Street, which the Duluth Minnesotian promised would be “a substantial ornament to Duluth.” He and his family took up summer residence in Oneota, and he began hiring contractors. Work was well underway in October when Rogers learned that his Chicago home, the Andrews Block, had been destroyed in the Great Chicago Fire. His family was safe, but he had lost everything else, including his chief income stream. The Minnesotian expressed mixed emotions when it learned the Rogers family would be forced to remain in Duluth for the winter: “We are glad, and yet sorry, to hear that his stay will be prolonged, and perhaps he will remain among us permanently.” Hayes wasn’t the only one who found Rogers likable. “Mr. Rogers is a fine lawyer,” the newspaper gushed, “and a gentleman: and his continued residence amongst us as a citizen would be a valuable and acceptable acquisition.” Rogers not only stayed, but in March 1872 he was elected to the Oneota Town Board of Supervisors and selected as a justice of the peace. Later that month Hayes, now the former governor of Ohio, visited his friend in the Zenith City to see his building; Rogers’s losses had forced Hayes to support the entire investment. The next year the Rogers family visited Ohio where their third child, Andrew, was born. 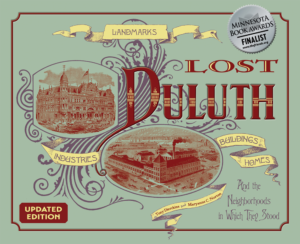 This happy event was followed quickly by a national tragedy—the Financial Panic of 1873—which temporarily put a halt to all development in Duluth. Rogers likely moved back to Ohio at this point, as there is no mention of him in Duluth newspapers until 1877, when he landed a job with his old friend Hayes, who had just been elected president of the United States. 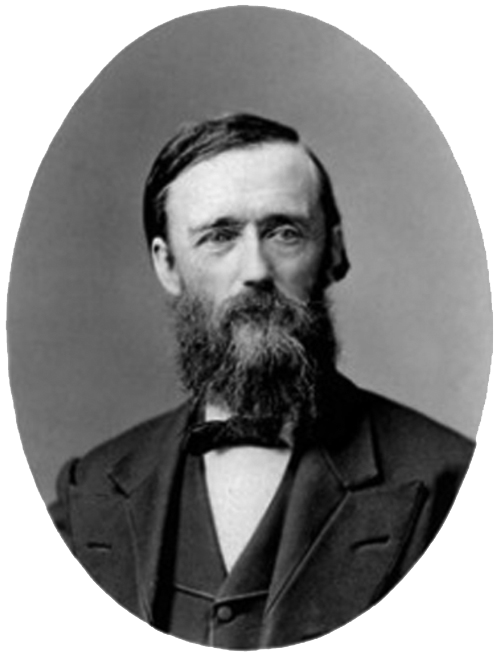 “Our half-adopted worthy townsman, William K. Rogers, Esq., whom everybody in Duluth is familiar with, has been appointed Private Secretary to President Hayes,” the Minnesotian reported. “This appointment is as wise as was that of the election of the President himself.” Presidential scholar Shirley Anne Warsaw writes that Hayes “reluctantly” chose Rogers after two other Ohioans declined the offer. Hayes restricted Rogers’ authority and his main role was “to serve as friend and cheerleader for presidential decisions rather than manage the internal workings of the White House.” In Washington Rogers also busied himself answering the president’s mail, and even this was interrupted by bouts with illnesses that, as Ryan explains, “could keep him prone for weeks at a time, sometimes unable to walk short distances or even sit up.” His illnesses weren’t enough to prevent him from fathering a child while working in the White House. He named the new baby boy Rutherford Hayes Rogers. When Rogers’s name was raised as a potential governor of Dakota Territory in 1880, Duluth’s Lake Superior News eagerly got behind the idea, calling Rogers “a man of integrity, a lawyer of high ability, [and] a statesman rather than a politician.” But Hayes instead appointed Jeremiah Ordway, who was later removed from office due to corruption. The next year, unemployed after Hayes left office, Rogers sought to fill a seat on the Illinois Court of Claims. The Chicago Inter-Ocean didn’t like the idea: “While he may possess the abilities necessary for judgeship, he has failed to show them. That he is a good man no one doubts, but his warmest admirers would hesitate before claiming him eminent for legal learning.” Apparently, outside of Hayes, Rogers’s warmest admirers were all in Duluth. After his duties at the White House ended, Rogers opened a Washington, D.C., law practice with Quinton Corwine, his former partner’s son, but less than a year later he returned to Ohio. When his father-in-law died in 1886, Rogers took over management of his investments. That same year a booming Duluth regained its city charter and a new business, the Duluth State Bank, moved into the Hayes Block. Rogers was named the bank’s president as well as one of its directors, and he soon relocated to Duluth. A month before he left for the Zenith City, Rogers wrote his old Duluth friend Judge O. P. Stearns, raving about the fine park system in Chicago. The letter was reprinted in the Duluth Weekly Tribune under the headline “We Must Have Parks!” Once back in Duluth, Rogers proposed to the common council his idea for a park system, which, according to lore, he first envisioned while walking the city’s hills in the early 1870s. The council adopted his plan in February 1888, and soon thereafter the state legislature created the Duluth Board of Park Commissioners. Duluth mayor John B. Sutphin selected Rogers as a member of the new park board; at the board’s first meeting he was appointed president. In 1889 Rogers again convinced Hayes to invest in Duluth, this time with the Highland Improvement Company, a development group whose plans for Duluth Heights included building the Seventh Avenue West Incline Railway and the Highland Park Tramway, which met at the top of the Incline near Rogers’s newly constructed scenic boulevard. In March 1891 the Duluth News Tribune again gushed with praise for Rogers: “Duluth will honor itself by trusting Mr. Rogers, for no city ever had a more loyal and capable promoter of its true progress in all directions, especially as regard to parks.” But apparently Rogers and the first park board had too much enthusiasm and too much power (and not enough oversight) when it came to spending money. The state legislature soon revised and narrowed the board’s powers, particularly those pertaining to finances. Three new board members were appointed. Rogers was the only member reappointed, but within a year he resigned from the park board, once again due to health concerns. He returned to Ohio and died there two years later. Once on a time the parks were run blindly. That was the Rogers regime. When they gave him a dollar he spent ten. When he was authorized to acquire a foot he took an acre. He drove his boulevard across city property if could get it and slapped it across private property if he couldn’t. He was so perniciously active that they wanted a park board and made him secretary [sic] so they could hold him down. Whereupon he began expanding the park system as though he owned the whole city. In 1921 local Rotary, Kiwanis, and Lions groups wanted to change the parkway’s name to “Armistice Memorial Boulevard.” Mayor Snively promised if that happened, “the name of W. K. Rogers shall not be wholly lost” and that he expected to have a memorial to Rogers erected somewhere along the boulevard. In 1929 the road was renamed Skyline Parkway, but to date the city has not erected a memorial to William K. Rogers. The Hayes Block, altered many times, still stands.